Beach Life Is Better Here! 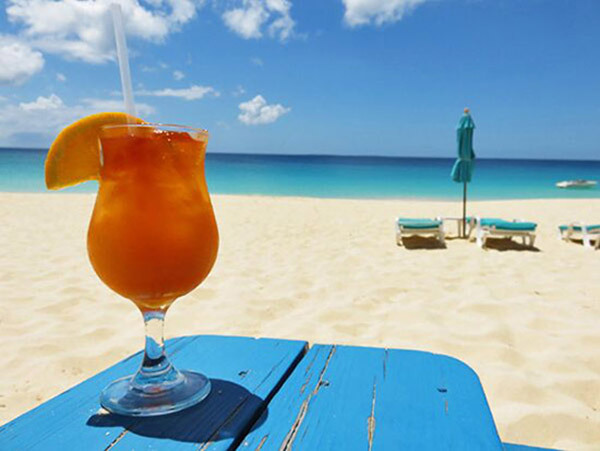 There's a saying in Anguilla... "beach life is better here," and it's true! No where is that saying perhaps more true than at beachfront restaurant, Ocean Echo. There are so many reasons to love Ocean Echo. And they all start and stop with the owner, Dillon. 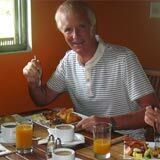 One of the kindest guys you will meet, Dillon is an excellent host. Warm, fun and armed with a killer smile, when you're with Dillon, you're with family. He and his family opened up Ocean Echo a few years back. After working at Viceroy (now Four Seasons) for many years, Dillon decided it was time to strike out on his own. 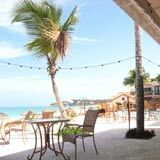 He was on a mission to make his dream - of turning his family's land into a beachfront restaurant - a reality. 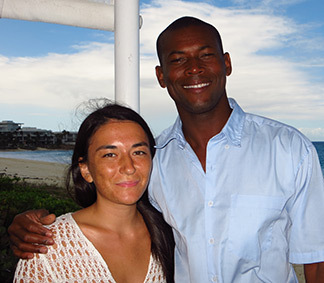 After years of dedication and hard work, it's safe to say today that Ocean Echo is one of the best in Anguilla's beachfront dining scene. 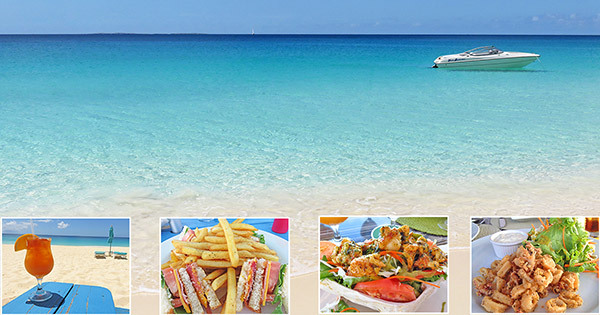 It is a "must do" if you love Anguilla blue and days at the beach. 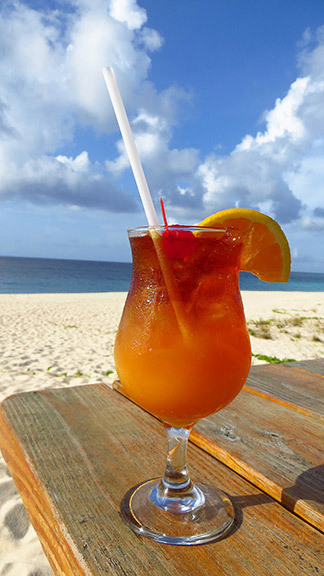 Anguilla's quintessential cocktail, Dillon's version of Anguilla's rum punch (called the Rumzie) is the best our family has had yet. ... one that you may only realize a couple of cocktails in. WORD OF WARNING: They sneak up on you! "Is that mango?" "Is that orange?" I've asked Dillon over and over, in the most sly of ways. He never gives up his secret recipe. This is the endless blue view that awaits you in front of Ocean Echo. 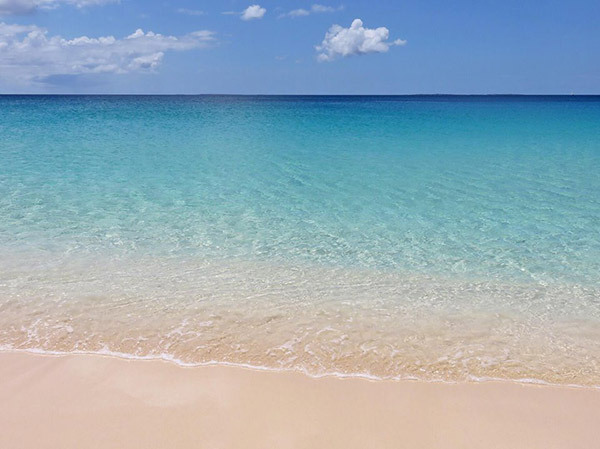 Meads Bay is one of the most unique beaches in the Caribbean. Unmarked by reef, it is all sandy bottom and blue for as far as the eye can see. The sea shimmers in a million shades of light turquoise, the light bouncing and reflecting off of each still ripple on the ocean. 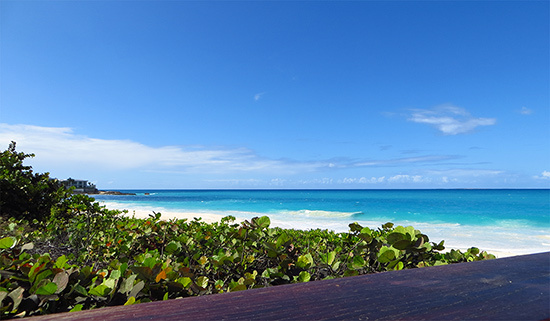 When Meads Bay "wakes up" (in the winter months), you are treated to an awesome view of the bay's powerful waves. This beach can go from being as still as a pond, to having 9' surfable waves. When that North swell comes in, Ocean Echo has front row seats to the best wave action on the island, and the occasional surfer or two riding them. 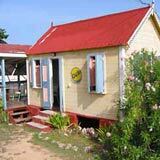 It is truly one of the island's biggest, most impressive beaches. Complete with Ocean Echo's signature blue lounge chairs & umbrellas, it is the perfect spot to laze the day away. 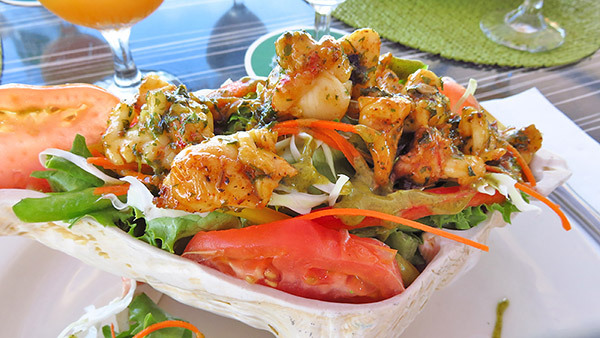 Back inside Ocean Echo (or out at your beach chair - whichever you prefer), Ocean Echo serves up a host of tasty beach eats. The lunch menu features everything from classic staples like hot dogs, burgers and caesar salads, to specialties such as "Ocean Echo chowder served with garlic bread", a honey roasted chicken breast sandwich and "Rasta Pasta". ... before moving onto the mains. 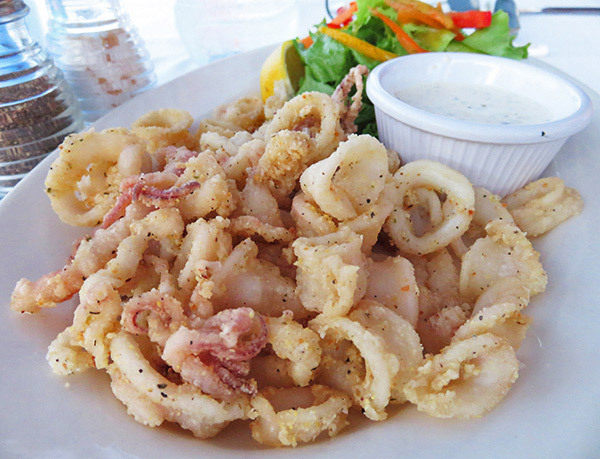 The perfect beach food for me? 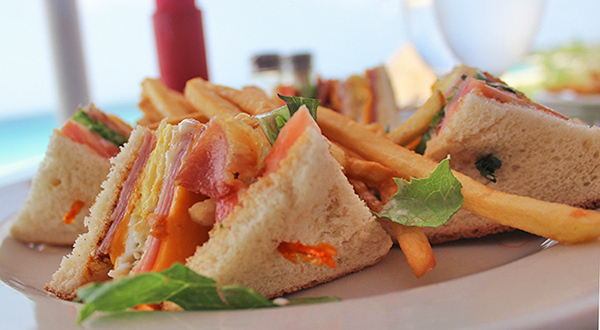 The Ocean Echo Club House Sandwich. 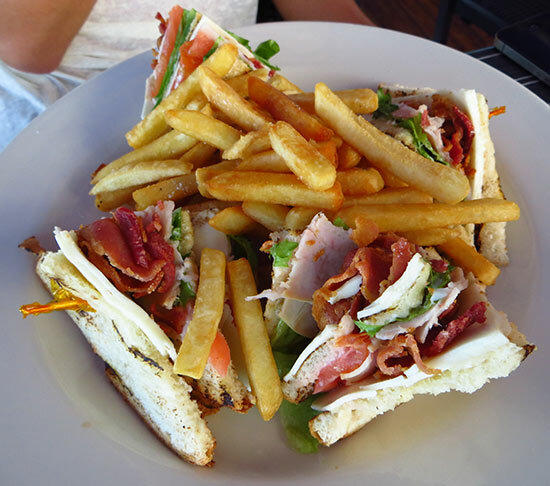 Simple and true to its name, layers of bacon, cheese and turkey are all stacked on toasted, fresh bread. 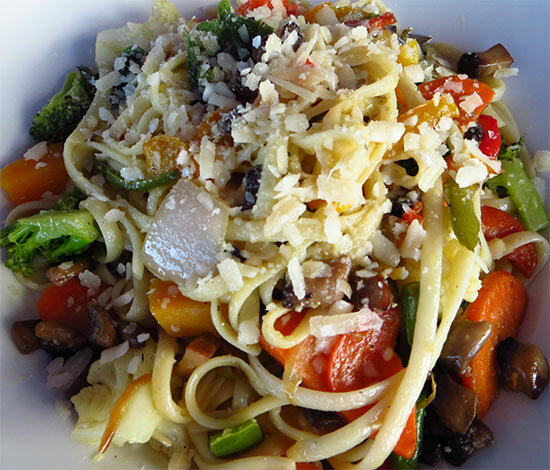 Prepared with your choice of olive oil or cream, the dish is loaded with fresh veggies. 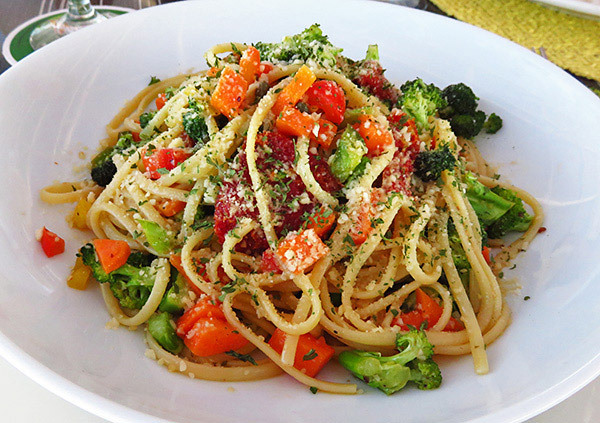 Each bite is fresh veggie delight! 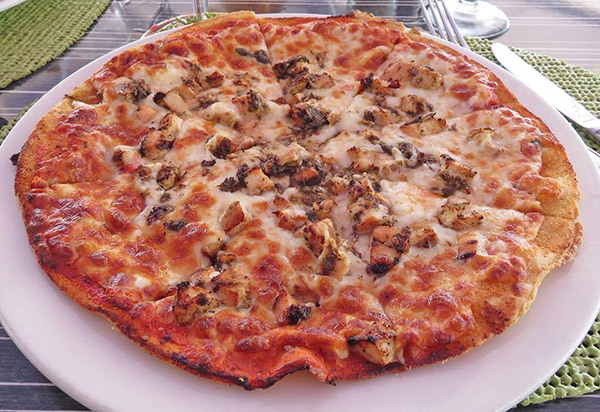 If you love heat, like my Dad, go with the jerk chicken pizza. With a laidback and calm vibe, you hear the "Ocean's Echo" as you dine. 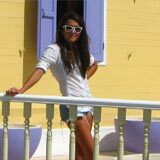 Totally at ease, it is the setting for beach lovers and one of my #1 choices when relaxation is on my mind. Whatever the day and whatever your mood, Ocean Echo is always excellent value! 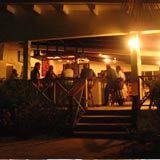 Directions: Ocean Echo is one of the first establishments as you turn onto the road that runs behind Meads Bay. 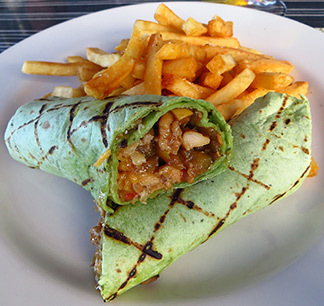 Good for lunch with a beachside location.